Get your Truck Wrap Quote Today...It's FREE! Chicago Truck Wrap & Graphics Experts! One Truck Wrap has the ability to reach over 70,000 visual impressions per day. When your vehicle is at a stop or parked, our custom truck wraps at Mark Your Space will have people looking. 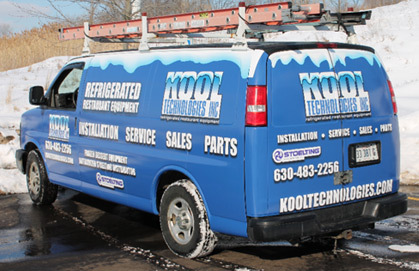 With one of our Truck Wraps you are actively marketing your brand every time the wheels turn. A well designed truck wrap act as moving billboards that actually gets more impressions and closer inspection than you would ever get from a distant billboard, and quality truck wraps are a one-time-cost! There is no better way to make a local impact, it is the most cost effective marketing you will ever budget for your company.